1 WHAT FLYING EXPERIENCE DO YOU HAVE? 2 WHAT'S YOUR FAVORITE AIRCRAFT? "G-BYSP (PA-28-181 Cherokee Archer II) – I have always preferred the Piper range for their (mechanical) simplicity, plus the additional capability and airspeed of the 180 HP along with ‘SP’s appointments is a bonus, and worth a little extra cost per flight-hour especially on the longer sectors." 3 WHAT'S THE BEST THING ABOUT FLYING? "The whole experience – from the meticulously detailed (manual!) Flight Planning satisfying my OCD-like tendencies, the magical feeling I (hope) I never tire of as the wheels leave the runway to the satisfaction of nailing the perfect landing or handling a tricky crosswind component, plus everything in between! Crossing those waypoints dead overhead and at exactly the ETA planned on your plog to the minute feels really good, too. Particularly, it really does keep your focus 100% on the task in hand by necessity away from the stresses of day-to-day life, which is a rare enough thing these days to be cherished." 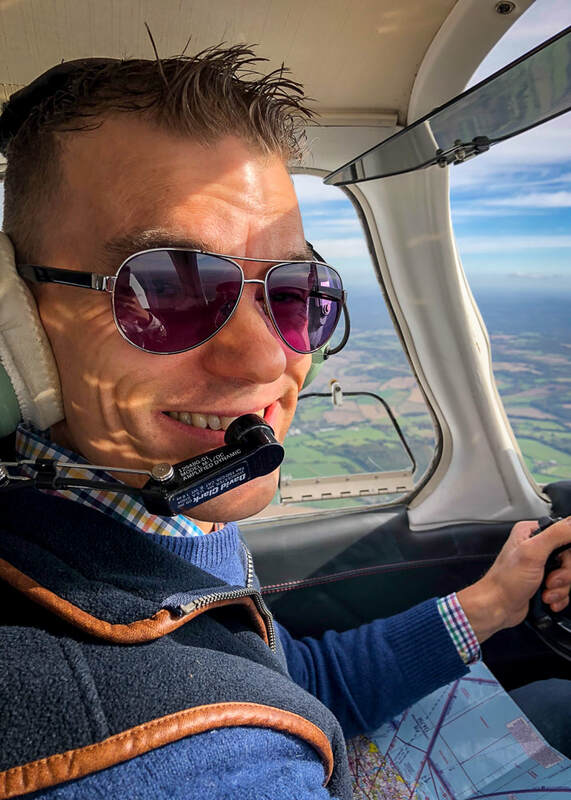 "Again, really too many elements to pin down one ‘plus point’ - I am very much enjoying being part of the Take Flight ‘family’, and can honestly say I haven’t come across another club like it, or that comes close. From the people, atmosphere and approach, through to the facilities, booking and access systems – all outstanding. All of the team bring great qualities, from Mike’s commitment from the top-down, particularly toward the initiatives for charity and local youth development, and recently the incredible efforts to save the Airfield; Hana’s drive in promoting events and maintaining the club standards of welcome and service (and always a friendly welcome and chat), to Elle and Dan’s fantastic can-do and friendly, enthusiastic approach to the front-of-house together with Sam in operations keeping everything serviceable. 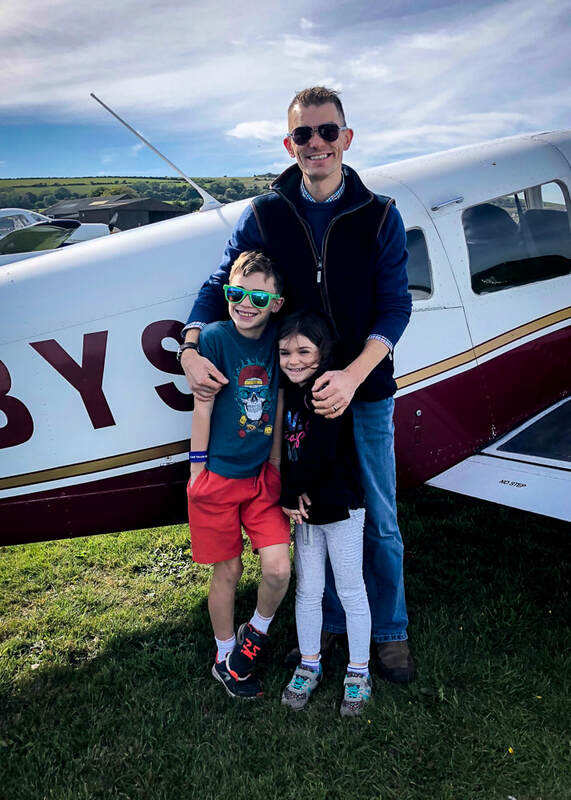 Incredibly professional, yet equally enthusiastic, helpful and approachable instructors, and genuinely friendly ‘regulars’ in the membership, plus a very active Training and Social calendar of events all add up to make a genuine ‘Club’ environment that feels small enough for an almost ‘family’ atmosphere, not just a Flight School.